You're working hard at the gym. Let your phone help with the math. 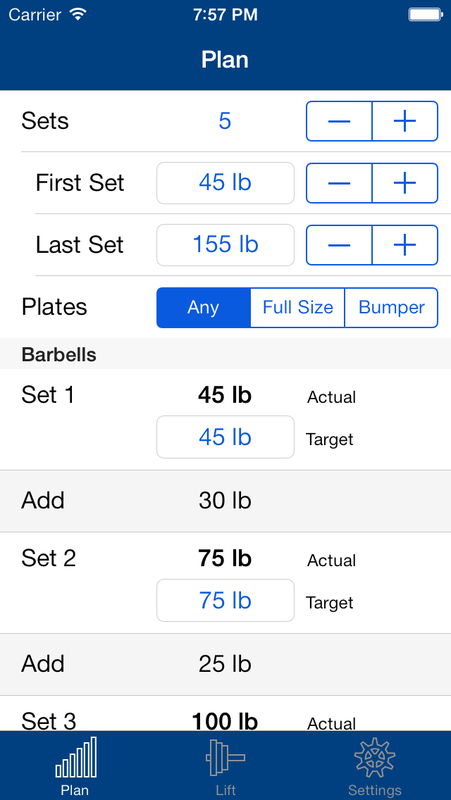 Barbell Builder makes it easy for you to plan a multi-step linear progression. Tell it how many steps you want, and what your first warmup weight and your final working weight are, and it does the rest. Of course, you can tweak any of the weights. Barbell Builder can make sure that your biggest plates are full size so that the bar is the proper height from the floor for deadlifts, or make sure that all of your full size plates are bumper plates, so the bar can be safely dropped. 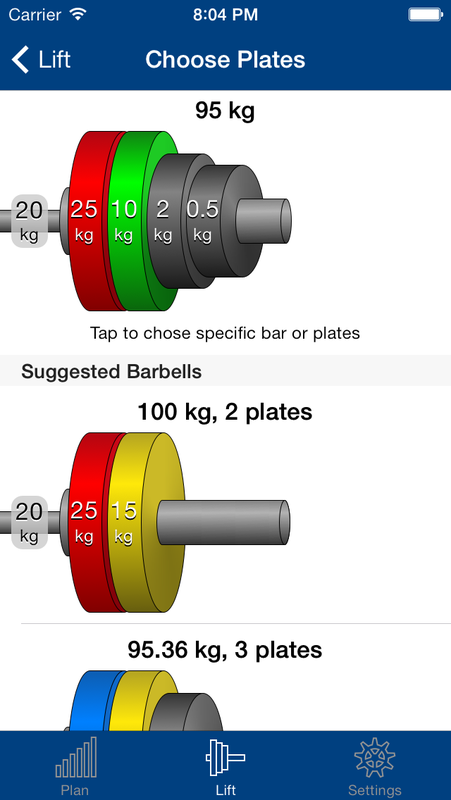 When you're ready to lift, Barbell Builder shows you clear diagrams of the plates that you need to put on the bar. No more mental arithmetic as you're getting ready to do a heavy lift. Sometimes you can't make your exact target weight with the plates available at your gym. 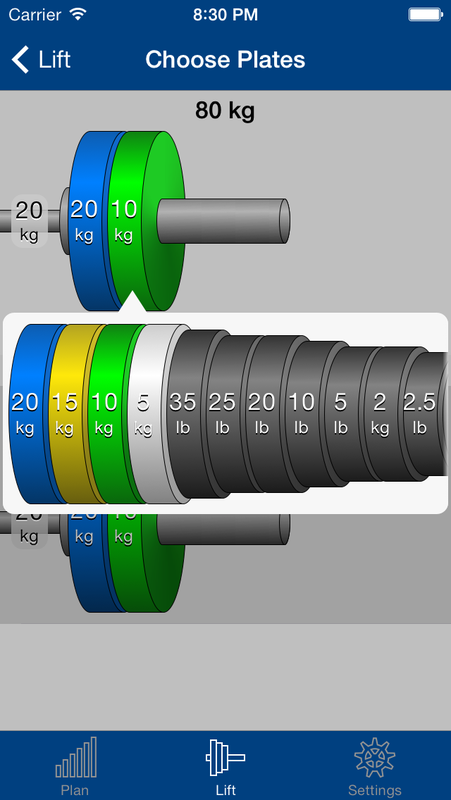 Barbell Builder calculates the closest larger weight that you can make. Do you want even more control over your bar loading? Barbell Builder lets you replace any plate. 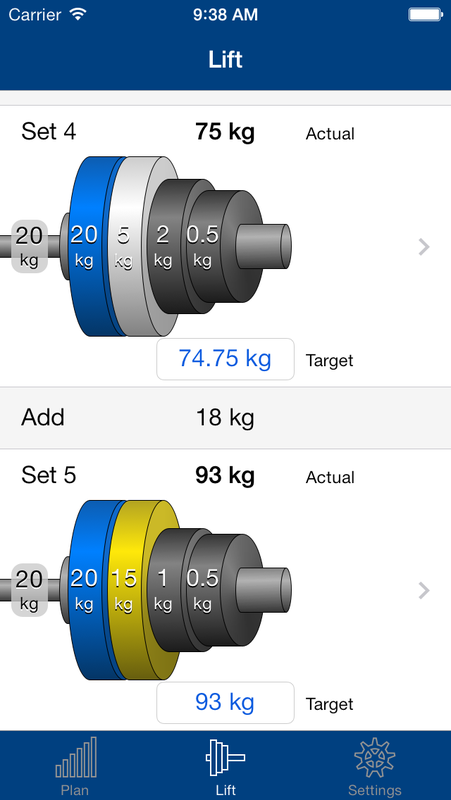 The app instantly recalculates the barbell using your choices. Barbell Builder also has no trouble using both metric and pound weights. Does your gym have an eclectic selection of plates from many different sets? 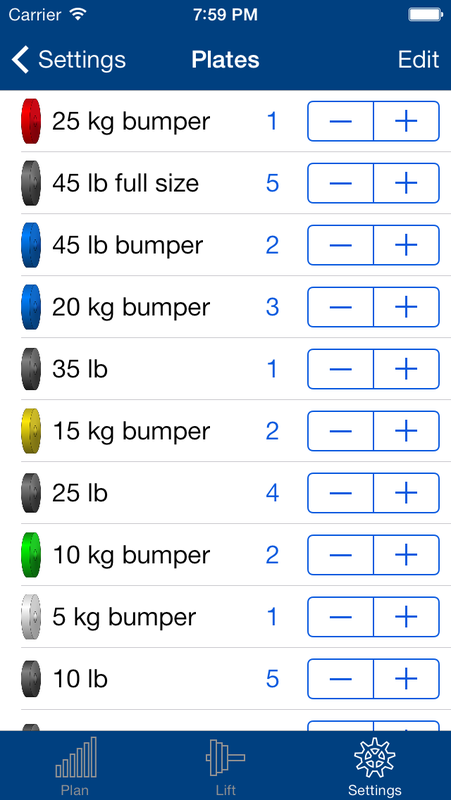 Maybe you usually lift in pounds, but you only have bumper plates in kilograms. Barbell Builder can mix and match to get you to your target. For your warmup sets, precision might not be the foremost thing on your mind. If you want to get those weights set up faster, and are willing to lift a little more, Barbell Builder will suggest alternate barbells that use fewer plates but overshoot your target by a bit more. Every gym is different. Do you have a simple starter set of plates? Or maybe you lift at an old-school gym that's been collecting plates from different sets for decades. 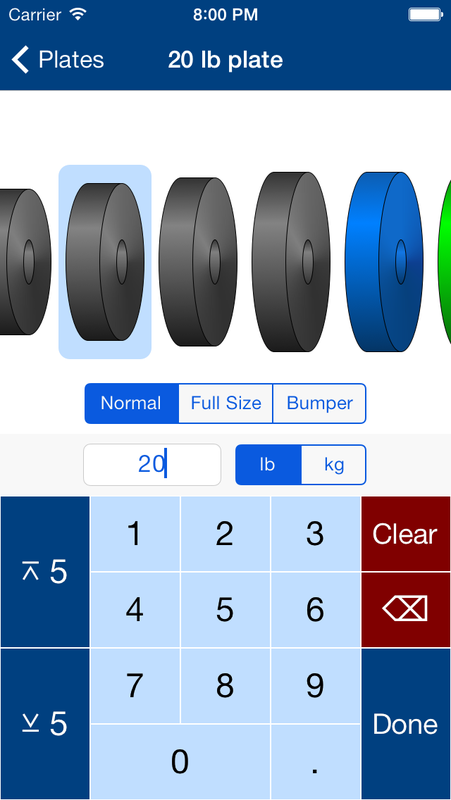 You can tell Barbell Builder exactly what you have available, so it knows what to use in its calculations. If you have some unusual plates, or your plates don't match the Olympic color scheme, you can add new plates or customize the built-in ones.